Check out this online event, which has gathered art of LGBTQIA individuals as part of an "It's OK" campaign under the Korean Queer Culture Festival. Submissions include the following beauties. The exhibit can also be seen at the Queer Culture Festival. 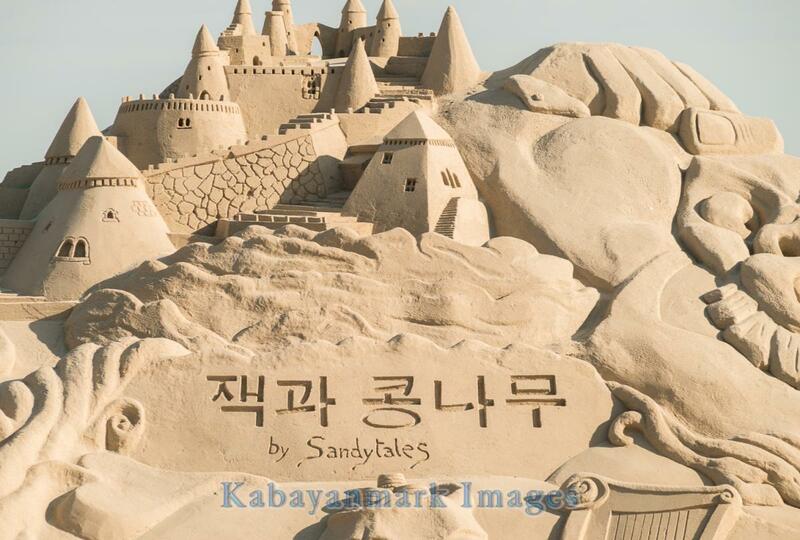 This weekend (29th May) sees the start of the Busan Sand Festival at Haeundae beach. The theme for this years festival is children’s stories (fairy tales) and there are some really excellent sculptures to greet the visitors. For the last week I strolled along the beach to chat to the artists and see the progress they are making. The first note, is that they are all professional sculptors and travel the world producing their art for all to see. The sculptors come from Holland, Mexico, Korea, Italy, USA and Canada. To many of us, and I was one until this week, it just seemed that carving shapes in the sand was all that there was to this art form, but how wrong could we be! – I cannot even get a kiddies bucket of sand to stand up. 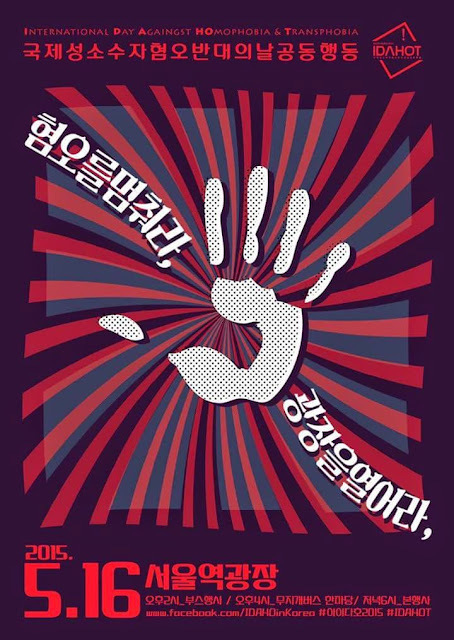 Check out the International Day Against Homophobia and Transphobia at Seoul Station Plaza today May 16th, 2015. The event starts at 2 pm with information booths, continues with a four o'clock with a 'rainbow bus' and the main event at 6. I wish I could join but I'm enjoying the Southern Sea with my mother. Muldwinda is arguably the best makgeolli bar in all of Seoul. They run in close partnership with Susubori Academy, which is the premier school for traditional alcohol brewing education. Their knowledge of craft makgeolli and their commitment to nurturing the development of makgeolli culture is unparalleled, and you will be hard pressed to find a more relaxed and satisfying evening than at this bar. It has a laid back & calming atmosphere, and their food reflects the same quality as their makgeolli. You never go long without going to a festival in Korea, but it seems like during the Spring and Fall there are festivals going on every single weekend! This weekend was no exception, but this time it was in our own backyard! This weekend was the Yangsan festival, and although we had not originally planned on going, I’m so glad we did!